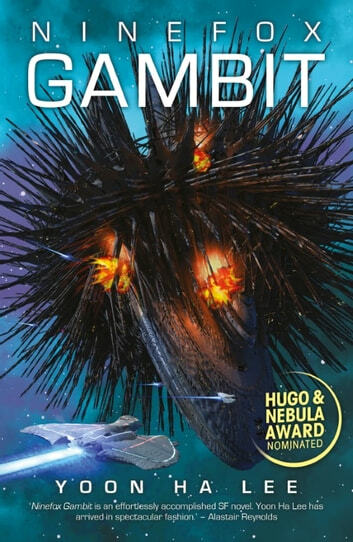 NEW YORK TIMES BEST-SELLING AUTHOR NOMINATED FOR THE 2019 HUGO AWARD FOR BEST SERIES WINNER OF THE 2016 LOCUS AWARD NOMINATED FOR THE HUGO, NEBULA AND ARTHUR C. CLARKE AWARDS. As the siege wears on, Cheris must decide how far she can trust Jedaobecause she might be his next victim. I give this book a rating of 4.5 stars. 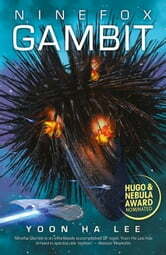 Ninefox Gambit is the first book in The Machineries of Empire series. This is the first book I've read by this author and found it amazing and complex. This story is violent and not for sensitive readers. The main character of the book is captain Kel Cheris. She is disgraced for using unconventional methods in battle. In order to redeem herself she must recapture the Fortress of Scattered Needles which is a star fortress that had been captured by heretics. In order to do so, she has requested that General Jedao who was placed "on ice" 600 or so years ago assist her. These armies fight with weapons and "formations" based on the calendar and mathematical equations. But the heretics on the Fortress of Scattered Needles use a different calendar system and Kal Cheris and Jedao will have to use innovative methods to retake the Fortress. This is a "new world" and I would have liked a Glossary of Terms to refer to. I found myself confused by the terminology, especially at the beginning of the book, and having that glossary available would have been helpful. Not having one did not impact my rating or review of the book. I received an ARC copy of the book from NetGalley in exchange for an honest review. "In media res" and you are halfway through before you begin to orient yourself. No exposition or explanation of the calendrical culture, the hexarchate, the exotics, the ships, the composites, the servitors. It is very satsfying to pull all the pieces together into some semblance of the story arc, which shifts and evolves. The author writes very well and the characters become individuals. The story resolves in a very unexpected way that is completely appropriate. Shards are central to the story and it is only upon rereading that you see them scattered throughout the exposition. Vol 2 will be released in June 2017 and I will get it immediately. It's been years since a book has gripped me like this one. From the first scene, I was really fascinated by the unique world building and concepts (what's the point of having all that futuristic tech if you don't use it to make really cool swords? honestly, the calendrical swords are like lightsabers but better) and I appreciated that there was no slow build-up chapter to ease me into the world while I struggle to care about the things I'm being explained. Ninefox Gambit throws you in at the deep end and then you'll sink or swim right along with Cheris, the protagonist. Her relationship with the other central character, Jedao, was from the very beginning so far up my alley it's almost physically painful; when I first saw the blurb for the book, I knew that would be the case and I was not disappointed. Jedao is a traitor and a mass murderer and a military genius of questionable sanity, but he's also Cheris' best hope of getting the job done, and boy do I love me some unlikely allies who are just stuck with each other. Every bit of this book is a 6/5 at least and I cannot recommend it enough. I couldn't really get into and enjoy this read as it is so full of made-up words and terms with different meanings within the context of the book than in out-of-story use. Political drama meets space opera, but I ultimately didn't feel very invested in the characters.